JanelOnline.com: Introducing the New and Improved JBC CD-1BB Soldering Station! 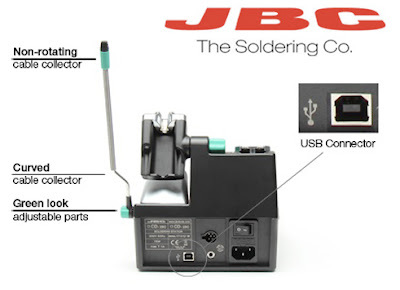 Introducing the New and Improved JBC CD-1BB Soldering Station! JBC Soldering Co., a leading manufacturer in Soldering, Desoldering, and Rework stations has recently released new models for all of their Compact Soldering Stations. Compact models previously known as the “B” version have been replaced by the new and improved “C” models. To shop these NEW compact soldering stations, visit our JBC Tools Compact Soldering Station Page today!